Discussion in 'Gaming Events' started by Press Release, Apr 6, 2019. The Country’s Esports Greats Gather For The Philippine Pro Gaming League 2019 Grand Finals 16 Filipino Teams. 3 National Champions. PHP 1,000,000. The grand finals of the Philippine Pro Gaming League 2019 will be held at the Ayala Malls Feliz in Marikina City on April 6-7, 2019. 4 League of Legends teams, 4 Arena of Valor teams, and 8 Tekken 7 players will participate in the two-day esports showdown. A combined prize pool of PHP 1 million awaits the Philippines’ greatest esports athletes. MANILA, Philippines, March 29, 2019 — The intriguing comeback of the Philippine Pro Gaming League 2019 from its celebrated 2018 run was warmly greeted by a wave of League of Legends, Arena of Valor, Rules of Survival, and Tekken 7 hopefuls armed and ready for the higher level of esports competition. As usual, the country’s largest multi-title esports league went across the nation to successfully gather the Philippines’ most promising esports athletes. 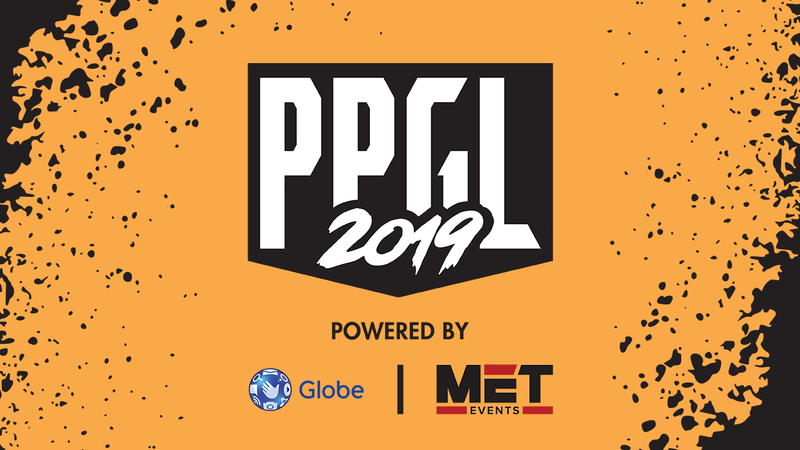 After more than a month of exciting qualifiers and thrilling group stages, MET Events (formerly Mineski Events Team), in partnership with Globe Telecom, is proud to announce that the PPGL 2019 is finally approaching its climax. On April 6-7, 2019 four League of Legends teams, four Arena of Valor squads, and eight Tekken 7 players will gather at the Ayala Malls Feliz in Marcos Highway, Pasig City for the PPGL 2019 grand finals. What’s in line is not only the right to be crowned as champions but also the lion’s share of the combined PHP 1,000,000 prize pool. Present in the PPGL LoL grand final, once again, are the past seasons’ champions—Liyab Esports, who was formerly under the Mineski organization, and TNC Predator. Last season, these teams have graced the grand finals for yet another episode of the local LoL scene’s El Clásico. This time, they will be joined by the rising ArkAngel squad, as well as ISC Events Pro Team, the pride of the Philippines LoL capital, Iloilo City. Meanwhile, the PPGL AoV grand final also promises a heated showdown. Bren Esports is still on the hunt for their first PPGL championship title despite their consistent appearance in the past seasons’ grand finals. However, the road to glory may not be any easier for the longest-running Filipino AoV team due to the presence of Kidlat, Resurgence, and Liyab Esports, a squad that is mainly composed of last season’s defending champions. Finally, the PPGL Tekken 7 grand final. This action-packed tournament has never failed to get the crowd on the edges of their seats, especially last season, when Andreij “PBE|Doujin” Albar’s dethroning of the two-time PPGL champion Alexandre “PBE|AK” Laverez. Expect this season to be nothing short of that as MET Events have teamed up with Playbook Esports once again to visit the country’s three major cities, Cagayan De Oro City, Cebu City, and Manila City, in search for the best Tekken 7 players.